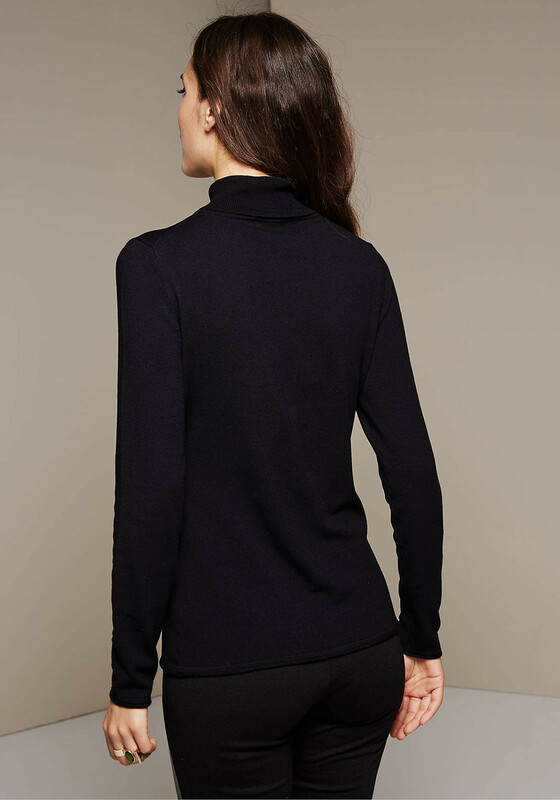 A must have for your knitwear collection, this black sweater is the perfect neutral top to wear with a variety of plain and printed jackets or cardigans. Styled by Comma with a figure skimming straight shape and made from cosy fine knit fabric. 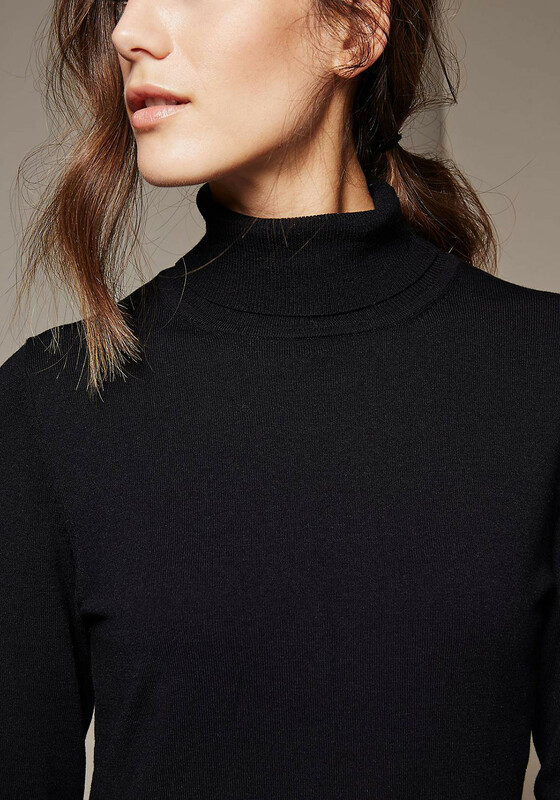 A ribbed polo neckline and long sleeves finishes the look.